All Award Ceremonies will be held at the start/finish line. 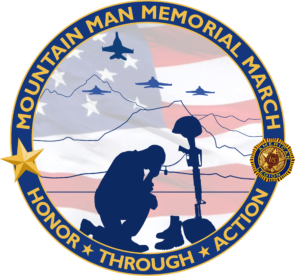 The 2019 Commemorative Mountain Man Memorial March T-shirt is now available for purchase. Online purchases can be made at our store. 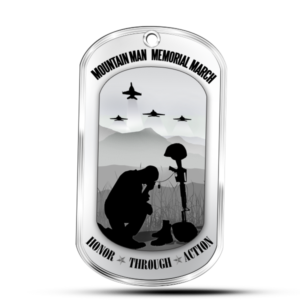 Order online for $15 or purchase at the MMMM for $20. This is not the participant shirt. Each participant will get s t-shirt but it will not have this logo. This shirt is only for sale.